There is proven clinical research that shows that saffron is safe and effective in reducing appetite and therefore assisting in weight loss. One such study was published in the prestigious Nutrition Research journal. While this study involved only women, other research has shown that saffron is equally effective for men and women. The research shows that when you consume the right quantities of saffron extract, you feel full and therefore are less likely to resort to snacking. However, saffron is an extremely expensive spice. As a result, the manufacturers of many saffron extracts on the market have tried to cut costs by either not containing a sufficient dosage to be effective (many contain only 88mg of actual saffron extracts), or else diluting it with other substances such as fillers and binders. 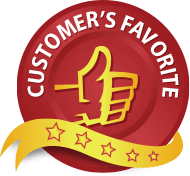 This is a review of Saffron Ultra which we believe is one of the best saffron extracts currently available. Each Saffron Ultra capsule contains 200mg of the purest grade of saffron extract, one which comes from the crocus sativus plant, rather than being reproduced in a laboratory, to ensure you get the best weight loss results possible from a saffron extract supplement. The recommended dose is 400mg daily. Take one 200mg capsule twice daily before meals with a glass of water; or take two capsules together once a day. 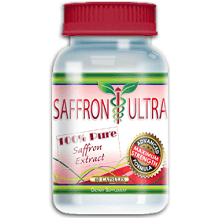 You can buy Saffron Ultra from the manufacturer’s website by choosing from among several packages. The least expensive per-bottle option is the six-bottle package at $22.95 per bottle for a total of $137.70. Four bottles works out to $24.95 each for a total of $99.80. The three-bottles option costs $29.95 per bottle for a total of $89.95. You can purchase two bottles at $34.95 per bottle or a single bottle for $49.95. There is a 60-day money back guarantee which covers both open and unopened product. However, to qualify for the refund, you have to return all empty bottles, so don’t throw them away. To implement a return first contact the manufacturer’s customer service department to obtain a return authorization number. We strongly recommend Saffron Ultra as a saffron supplement for weight loss and appetite control for a variety of reasons. We like the fact that each capsule contains 200mg of saffron extract, while many others on the market have much less – some only 88mg – meaning you have to take far fewer capsules to achieve the results you want. We also feel the money-back guarantee is strong and gives you sufficient time to test this product out. This policy also indicates the manufacturer has confidence in its product. Also important to remember is that Saffron Ultra is produced in the United States in a modern, FDA registered laboratory under the guidelines of the US Food and Drug Administration’s cGMP certification. It also meets the strength and purity quality standards of the US Pharmacopeia requirements. Finally, it is 100% pure.